Have you ever dreamed of putting on a shoe and knowing it is named after YOU??? How cute would it be to put on your children's shoes and know they have a shoe named after them?? Well, now is your chance because one of my favorite children's shoe brands, pediped, has a great contest going on where a new style of shoe will be named after one of their own fans! Parents and caregivers around the world have the opportunity to submit their child’s name for the chance at naming a pediped® shoe after him or her. The winning name will be used for a style in the pediped® Spring/Summer 2016 Collection. The contest will be hosted on Instagram and fans must follow @pedipedfootwear to participate. To enter the contest, fans must post a picture of their child, with his or her name, and the reason why pediped® should name a shoe after him or her. The photo must be posted with the contest hashtag #namethatpediped and the pediped® Instagram account must be tagged as @pedipedfootwear. Photo entries will be accepted until 11:59pm PST on January 1 1, 2015. 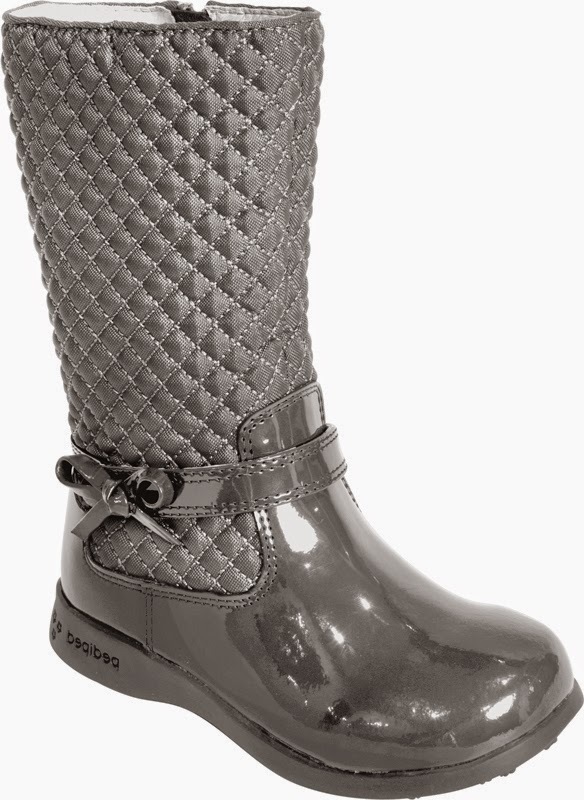 The winner will receive a $100 pediped gift card and a free pair of the style named. pediped® will announce the winner in February upon the official launch of the Spring/Summer 2015 Collection. 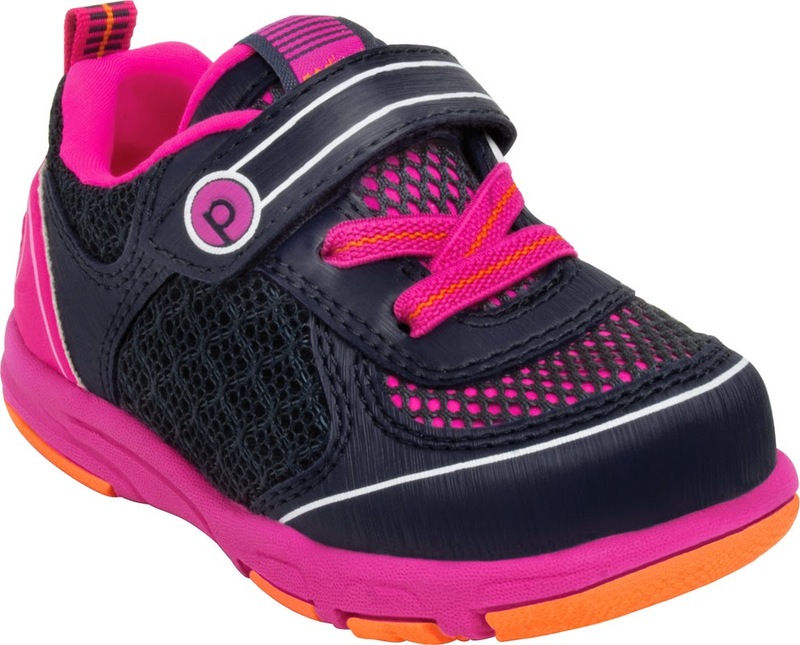 On top of that fun contest, pediped® also debuted their Fall/Winter 2014 Collection offering over 100 new styles of American Podiatric Medical Association accepted footwear across its three signature lines: Originals®, Grip ‘n’ Go™, and Flex®. The collection highlights more than 90 Flex® styles now offered in larger sizes up to 36 (US Youth 4.5) along with 30 new machine washable styles. Inspired by a child’s eagerness for fall adventure, the collection features a vast variety of Mary Janes, athletics, casual sneakers, and boots. Perfect footwear choices designed to cover every exciting occasion from back-to-school to holiday time, the winter wonderlands and beyond are offered. Top-selling Giselle is reinvented with chic black patent available in both a Mary Jane and fashion boot. Also added to the collection of fashion boots is Kacie and Maggie, and best-selling Naomi boot makes its anticipated debut into Grip ‘n’ Go™. More than ten cold weather boots with waterproof technology are highlighted including new color combinations in Boulder. The selection of machine washable athletics containing Ultra Light Technology™ adds six new styles. * The Originals® line of soft-soled, flexible infant shoes is recommended by pediatricians and podiatrists as the shoe’s design closely mimics barefoot walking. Each style is leather lined with a slip resistant leather sole. * Fifteen new styles have been added this season. Highlights include Becky, a Mary Jane offered in on-trend corduroy and Jasper, an all leather sneaker style; bringing a little sparkle to the collection is the new Delaney. New styles Jerome and Teddy are stylish and comfortable options. The Originals® collection will retail for $35-$41 and is available in sizes newborn to 24 months. 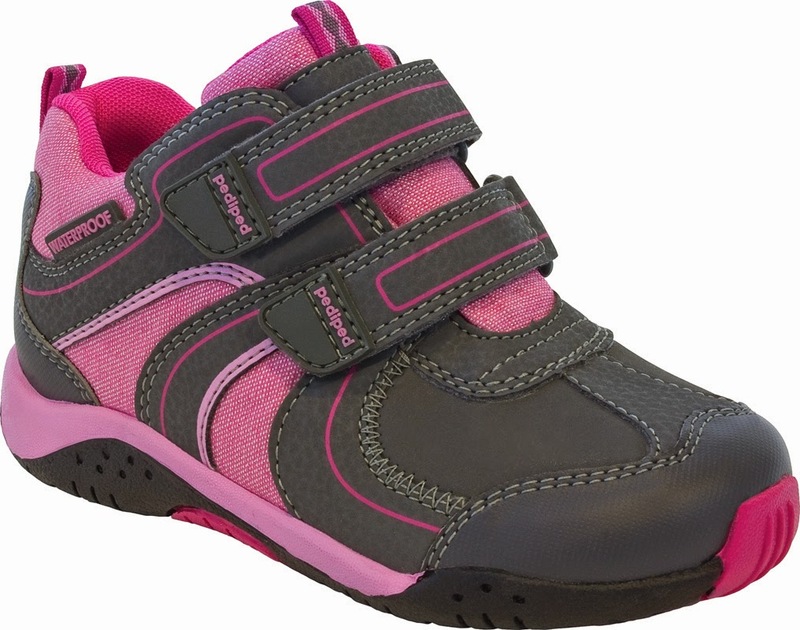 * The Grip ‘n’ Go™ line has special feature G2 Technology™, making it the perfect shoe for active toddlers transitioning from early walking to a confident stride. * The innovative line of fashion boots grows this season with Naomi and Kacie along with the debut of Rosa, a stylish boot with faux fur lining. Justin and Boulder highlight the collection of rugged boots with waterproof technology. The Grip ‘n’ Go™ line will retail for $48-$52 and is available in sizes 18-23. * Flex® is the ultimate shoe for an established walker who has developed a confident, natural stride. The Flex® line offers more than 50 styles with maximum flexibility and comfort. * New back-to-school options include Sarah and Channing, two all leather styles available in classic brown, navy, and black. Frank and Becky are machine washable options making them great for every day wear. * The popular line of washable athletic shoes featuring Ultra Light Technology™ debuts Mars, a new style featuring flex grooves to support natural foot movement and heel cushioning. This line provides maximum flexibility while remaining light as air (5 oz. based on a size 27). * The line of waterproof boots expands with new style Justin; Popular Boulder gets an update and is now available for girls and boys. The Flex® line will retail for $39.95-$80 and is available in sizes 20-36 (available sizes vary between styles). You can purchase the pediped Fall/Winter 2014 Collection online at www.pediped.com and also in select retail stores. pediped is generously offering (1) pair of Originals shoes (0-6, 6-12, 12-18 or 18-24 months sizing) to a lucky winner!